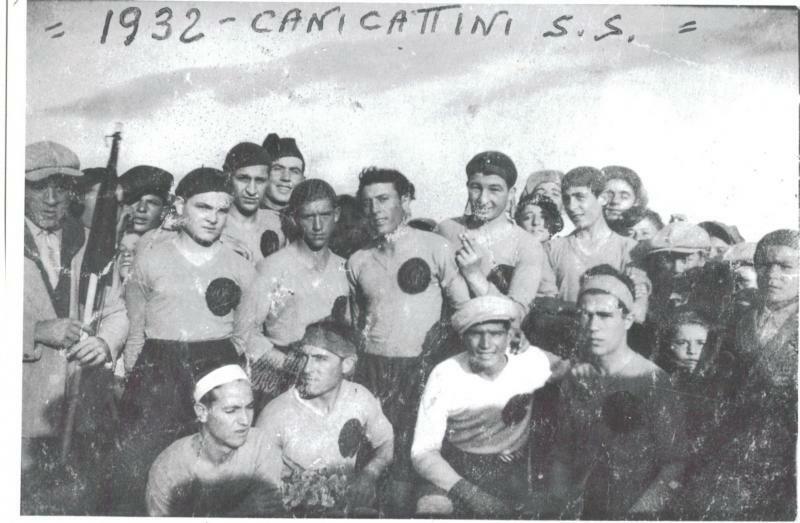 There was and still is only one truly major sport in Italy: football, or soccer as we call it here in the States. Yes, there are other sports, but they all pale vis-a-vis soccer in terms of participation, intensity of feelings, and loyalty. Cycling has always been big, as is Formula I car racing. In this chapter I want to cover more than just sports: I want to describe how kids my age passed time prior to the television age. We did not get our own television until 1965, after my grandparents came back from the U.S. It was actually their TV. But even then, as I recall, TV programs started in the afternoon around 5 pm and ended by 10 pm. By the time we got television our playing habits were well formed, and they included a lot of outside playing. I got a tricycle somewhere when I was three or four, and rode it a lot around the street where we lived. We also played many games with other kids. Some of the most popular that I remember are ammuccia ammuccia (hide and seek); tag, in which teams of kids tried to escape a tag from the opposing team as long as possible. We also played a tringa, which is like hopscotch, where you draw squares on the ground. You use a coin or cap or round orange peel to accurately target a particular square, then skip over the squares occupied by your opponent to claim the win. Around the feast of Saint Michael we played with walnuts (walnuts are harvested around that time, so there were plenty). Now this was an interesting game: walnuts would be stacked on top of each other, usually two high, with each kid contributing the same amount of walnuts, and then we would take turns trying to knock them down from a predetermined distance. Of course the winner was whoever could knock down the most and the walnuts would be his prize. As we grew older the walnut game was modified to use the caps of bottles and none were more sought after than the caps of San Pellegrino, with a gold star set against a maroon backdrop. I mean this cap was it! Some kids even cut glass into the cap to make it even more lethal. Those were games for a younger age. 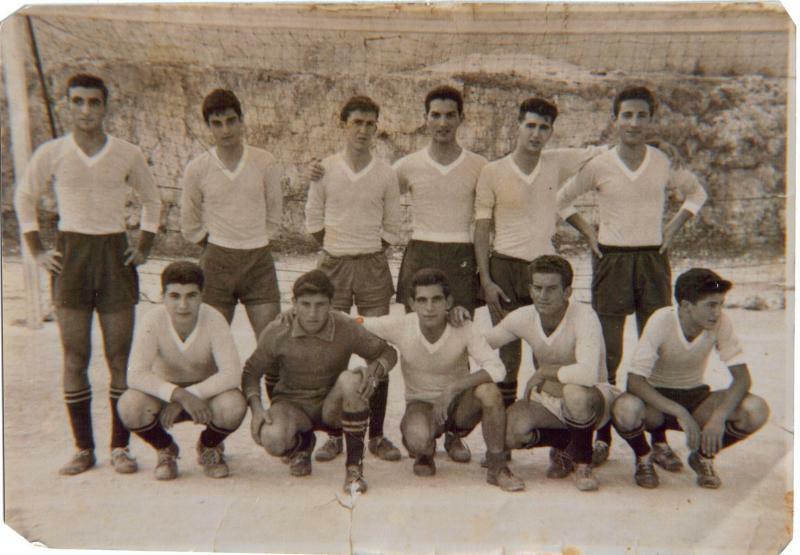 As we grew older we got into soccer, at first by setting up goal posts with rocks in the middle of the streets (not many cars going by then) and even using a "ball" made of socks, gradually graduating to a real ball and eventually getting a chance to play at the Stadio Comunale, our town stadium. I don't recall when I started to play soccer in earnest, but I believe I was around twelve years old. And I don't really recall how I made the decision to be a goalie, but my guess is that it was the best position for me because I hated running and as a goalie I didn't run much. I was not a serious player. Later in life I coached soccer in the U.S. and with some good results: I would not have selected myself to play on a team that I coached! I had little discipline to work hard and I don't particularly recall being a team player . . . although that is considered to be an Italian trait, that we have more views than people. Just look at how many political parties and correnti (subgroups) we have! So I was an also-ran as a youth, not really threatening to be a real player, except for one year. 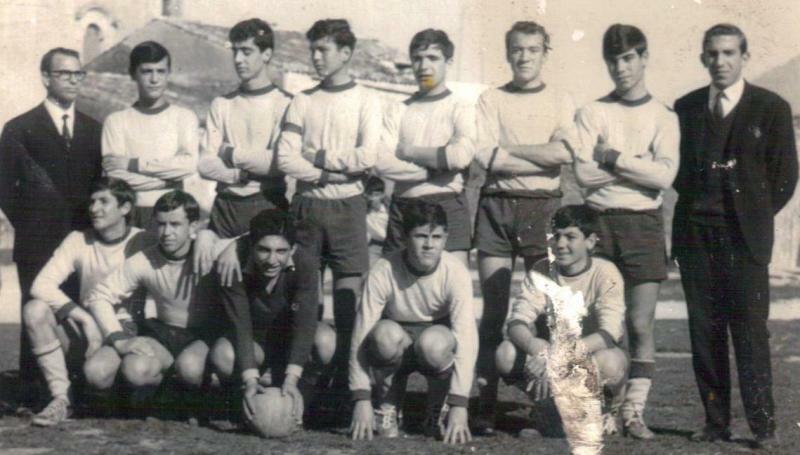 In 1966 I was the starting goalie for the San Francisco soccer team, sponsored by Chiesa Madre. I worked hard with the coach to get in shape and he spent a lot of time teaching me positioning, how to read incoming players and how to direct my defense. We jelled as a team and went undefeated in the regular season, playing teams like ours from surrounding towns. We got into the playoffs and played in Floridia against a team from Siracusa, a town ten times larger than ours. I probably had the best game ever and we had our chances to score, but the game was tied at no score until the referee, whom we later found out came from Siracusa, invented an indirect kick INSIDE my penalty box. A short pass from one player to the other and the ball barely got past my diving stretched arms. After the game, some of us found the ref's car and did some damage to it. We were so furious, we just lost it! I had a chance to play in one derby, the confrontation between the two local teams, as the reserve goalie. After the other team had gotten ahead 4-0, my coach sent me in, figuring I couldn't do any worse. They got two more goals on us, none that I could really do anything about, and then the ref called a penalty shot against our team. Our opponents called on their goalie to take the shot! Well, he hit the post to my left—my dive may have stopped it—and a few minutes later the ref called a penalty shot against our opponents. Of course I was called upon to take it: I hit a feeble shot that their goalie saved. And I still remember running back, as fast as I could, to my goalie position as a fan yelled out the name Vieri, a Torino soccer team goalie who recently had tried and also failed a penalty shot. Surprisingly, I did not suffer many injuries playing soccer other than a broken elbow, for which I spent three weeks in a cast. I was playing wing during a practice scrimmage, and on a fifty-fifty ball the goalie tripped me as I was bearing down at some speed. I must have flown in the air several meters and hit my right elbow when I landed. It cracked and needed a cast to recover. Other minor injuries came during our annual game against i parrinieddi, seminary students who may go on to become priests. Just outside town was a casa do viscovo, the summer residence for the archbishop. I am not sure if he was using it during the time I was growing up, but it became a summer residence for young aspiring priests. A tradition started, a soccer game between town kids and the priests-to-be. These games were not all fun and games but rather intense encounters, and on least one occasion while playing goalie I was kicked on my fingers, possibly accidentally, causing a good-sized cut on the index finger of my right hand. Who said that young aspiring priests could not be aggressive! 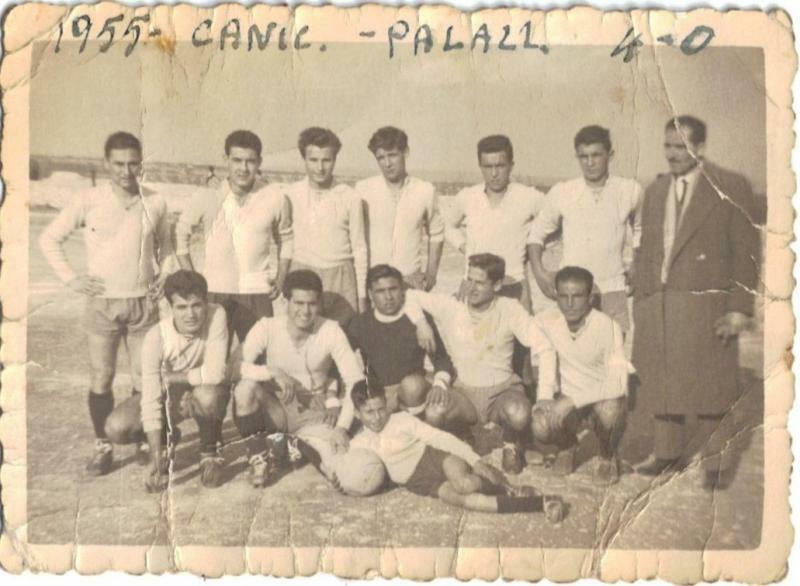 But my best performance on the soccer field came during a game in Siracusa. We had seven players, the minimum required to start a game, and I was playing on the field. It was raining hard and the field was wet but it was warm, so we started the game. At the end of the first half we were only losing 2-0, not bad for an undermanned team. During the halftime break our player-coach decided we had had enough, so he suggested that someone get hurt, which would bring our team down to six and force the ref to stop the game. Perhaps because of my theater experience, I was chosen to carry out the plan. Sure enough, five minutes into the second half I challenged an opponent carrying the ball with a long slide that had zero chance of ever reaching the ball but from which I got up extremely slowly, limping and unable to continue, which forced the game to be called! In addition to real soccer we also played table soccer using a small ivory ball. A fierce competition was always on tap, fiercer than the real game. The players faced off two against two for the best two of three. 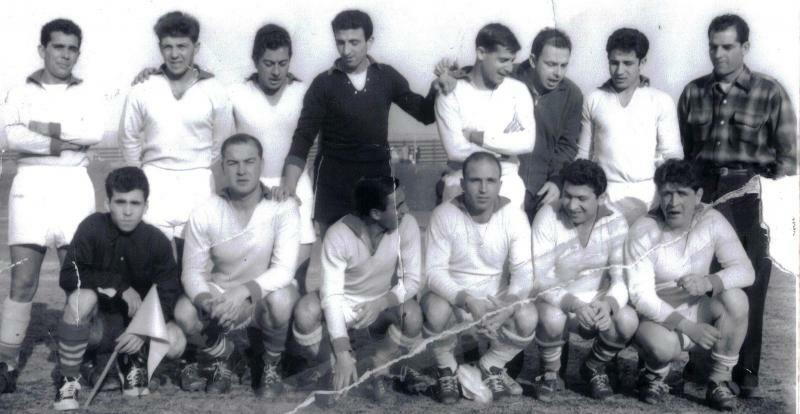 The winner was the team to score six goals on their opponents. Cards played an important role in our growing up: we learned briscola, scopa, and trisette,Sicilian card games usually played for fun, small, non-monetary bets like a drink or an arancina. We had two games, briscola a 5 and ramino, which usually were played for money, but nothing to bankrupt anyone. And usually for Christmas we played bacara. I say "we," but not really: this was a real gambling exercise where people won and lost hundreds of thousands of lire! I was only an observer. My friends and I also followed cycling, the Giro and the Tour, of Italy and France respectively. We argued over who was the best, starting with Anquetil, then Gimondi, then Adorni--but the best of them all was Eddie Mercx. We also followed Formula I car racing closely. From 1950 to 1968, Siracusa hosted a Formula 1 race which, while not valid for the overall championship, was extremely competitive and well attended. I recall going many times and seeing such greats as Jimmy Clark, John Surtees and Lorenzo Bandini. For those of you who have never witnessed such a race up close and personal: it was incredibly noisy, I mean thunderous, it made you shake inside, in your bones. But we loved it! We could always find a spot somewhere along the circuit and never bought tickets for it, for sure we could not afford them. Some of our "games" were not so innocent. Kids can be cruel, and what could be more cruel than teasing an old, lonely man who used to live in the U.S. and whom we would call "sonofabitch" without really knowing what we were saying, other than it raised his temper! He would chase us without any hope of ever catching us. The worst thing I ever did as a kid was on one night around Carnevale, when I went around town breaking the bulbs on public lampposts. Mindless destruction for no good reason whatever, other than kicks! As you grow, you go through different friendships, and this time I wasn't very smart in my selection of friends. We were lucky the carabinieri never found out about us. I never again did anything approaching this type of mindless behavior. 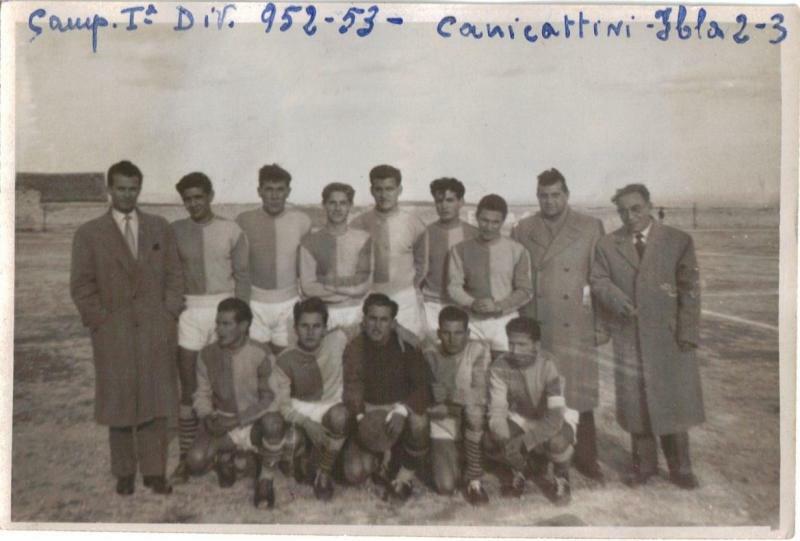 Unlike the present days, children who like me grew up in the 50's and 60's did not spent much time in front of a tv ( which we did not have until 1965), we would play all kinds of innocent games, we would play soccer: organizing a soccer game was easy since we would play on the streets, usually O Canale where the road was paved, wide and, most importantly not many windows to break!